Originally designed by ITW Nexus, the Side Release™ buckle has long been the industry standard for side release functionality and design appearance. Center bar wings prevent over-flexure of arms and release under impact loading. 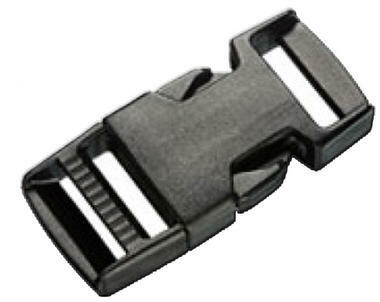 The Ladderloc feature provides maximum webbing grip while allowing smooth and easy adjustment.